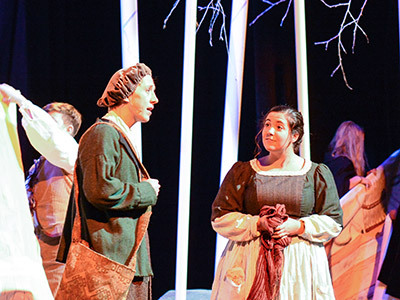 The Madison Country Day School Theater Department exposes students to a broad cross-section of the theater arts with the aim of expanding students’ creative imaginations and vocational arts horizons. We honor each person’s unique voice and prize his or her contributions. As a department, we actively investigate the relationship between the process and the final product, questing for intellectual growth and self-discovery. Within four years of study, we hope all students will have access to work on classical, contemporary, cross-disciplinary and new work in the dramatic, musical theater, film, and digital arts. Our curriculum focuses on creating and performing, making aesthetic judgments, and responding to the numerous connections between art and life. Madison Country Day School Theater presents practice opportunities that are safe, individualized, and professional learning experiences. The commitment to the process is more important than the product. Students are encouraged to explore different areas of theater that interest them. The theater department provides a wide variety of high quality experiences for students to become involved in the entire production as well as advanced training in voice, acting and movement techniques. We have theater offerings for all age groups. 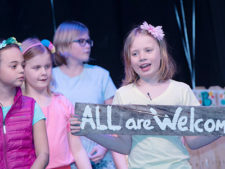 The lower school produces a dynamic and engaging play every year. The High School productions include both Middle and High School. The fall show is centered on the high school actors with middle school as support (roles, design, management). The spring show focuses on the middle school actors with high school providing the support. Throughout the year there are chances for the students to perform at school events, improvisational shows, and student directed and created shows. The fifth grade enters the theater program in the spring semester. A show is created just for them to help introduce them to the upper school and share their talents with our community. We strive to utilize professional training, equipment, and performances spaces to ensure the ultimate experience for our student theater company. As we grow, we continue to be committed to the growth of our students by building on innate talents and capacities that develop to make a more mentally flexible, emotionally fluent, and physically expressive human being. James Wagoner is a theater artist and educator who brings years of experience as performer, playwright, director, and teacher to the students of Madison Country Day School. Mr. Wagoner studied acting at the Conservatories of Carnegie Mellon and Webster Universities. His acting credits include regional theater, film and television. He also holds a Master of Fine Arts (MFA) in Directing; additionally, James holds graduate teaching certification credentials for Theater Arts, K–12. Currently, he teaches acting at the University of Wisconsin-Madison. He also has recently collaborated with Middleton High School, Music Theater of Madison, and the Children’s Theater of Madison, where he was the Director of the Young Actors Academy.